I love burning candles in the house. Especially in the fall when I can fill the rooms with the sweet aroma of cinnamon and pumpkin spice. I typically keep candles if every room in the house just for decoration and enjoyment. I even have a couple of the old oil lamps used by my grandparents, they lived on farms with a lack of modern conveniences. But today, we are blessed with electricity so the candles and oil lamps no longer hold the utilitarian purpose for us that they once did. But, that’s in the fall; in the spring and summer, candles become more important. You see, we live in the country and when storms roll in, we often loose power. And why does this seem to happen most often in the evening? So when the power goes out, the candles get lit for a more practical purpose. In the dark rooms, the candles are located where they will offer maximum illumination, especially in front of mirrors so the little candle light gets reflected across the room. Makes sense, right? I mean, why would I light a candle and put it in the closet or in a drawer? As I studied today’s scripture, I asked “who” is the light Jesus is speaking of? He is using a very practical example, but His teaching here has a much deeper meaning. 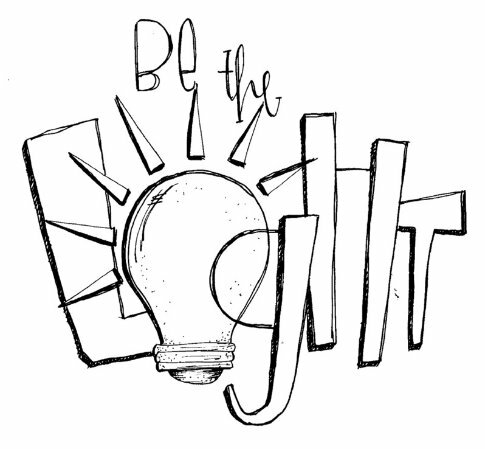 In John 8:12, Jesus says, “I am the light of the world…” but in the verses directly following Luke 11:33 (vs 35 & 36), Jesus talks about “the light in you” and “your whole body is full of light”. So in verse 33 who is the light? I believe He is talking about the light within you and within me. 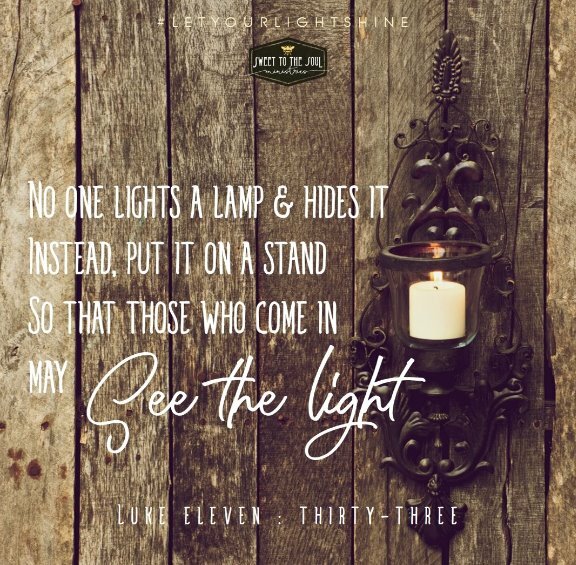 ​If we are the light, or lamp, what does this scripture tell us not to do? Don’t hide the lamp away, don’t put it in a place where it will not be seen. I learned a couple of interesting things about the candle or lamp flame and these can be applied to why we are not to hide away. 1. A flame needs oxygen to burn. Oxygen is the flame’s life source. So if a flame is lit but then hidden away without access to its life source, the flame will eventually extinguish itself, or go out. The candle or lamp will stop burning. Likewise, because the Holy Spirit is our internal flame, if we hide ourselves away and purposefully separate ourselves from our life source – God – then our internal flame can dim. 2. A candle and lamp have a specific purpose. They are lit to provide illumination; that’s their job. A lamp that is lit then hidden away from sight, never fulfills its true purpose. It may still burn, but hidden away and alone, it provides no use to anyone. Thankfully Jesus does not leave us hanging with just what we are not to do, if we look at the last half of Luke 11:33, He also shares with us what we should do. In contrast to hiding, we are told that we are to put the light on display, on a stand. This is done so that the light source can be placed high and it can shine out above and over everything else, stretching its reach and shining as far as possible. But let’s be cautious just who we are putting on display – ourselves or our light source, God Himself. In today’s world of ministry, we hear the word “platform” a lot. It relates to how many followers one might have on social media. It represents someone’s potential reach, how far they may be able to spread their message. But in the world of “platform building” it is very easy to switch one’s focus from God to self. 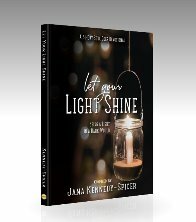 Soul Friends, let’s bring our light up out of the cellar, let’s cast aside those baskets holding back our internal light and let’s fulfill the purpose assigned to us by God Himself, let’s share Him with the world, let’s be the light. Father God, thank you for the gift of the Holy Spirit to lead and illuminate our lives from the inside out. I pray that my life can be a reflection of this holy light. Open the eyes of my heart to be aware of the people in my Jerusalem which need to hear your message. Thank you for these opportunities to be the light. In Jesus’ Name, Amen. Loved the simplicity and the revelation of the truth thank you!